Part of the CF Home Made Food chain. Located at the ground floor shoplot which facing The Gardens office lot. Few shops away from Midvalley police station. 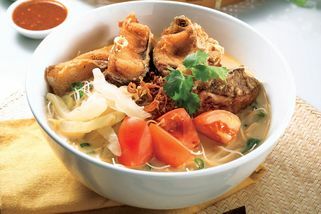 The popular stall food, fish head noodle, is taken from its humble origins and presented in a smartly decorated, air conditioned setting here. 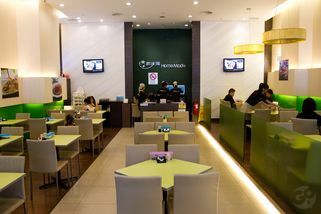 The fish head and other ingredients are prepared fresh every day, and no preservatives are used. The soup base is cooked for eight hours, with Chinese cooking wine added for extra flavour. You can choose to have your fish deep fried, boiled or as fish paste. 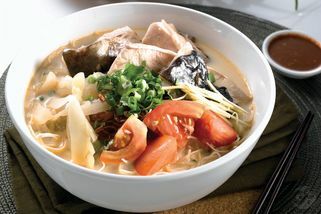 Signature dishes are Fish Head Noodle, X.O Sauce Fish Head Noodle, Sour Spicy Fish Head Noodle, Fresh Water Prawn Fish Head Mee Hoon with X.O Sauce, and Tauhu Rice. A new recipe is introduced every 2 to 3 months. All customers will also be served a complimentary glass of refreshing fresh lime juice with sour plum. 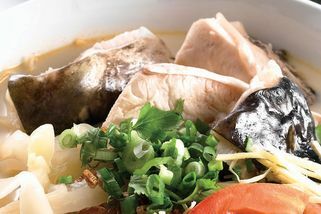 One of the best fish head noodle in the town! 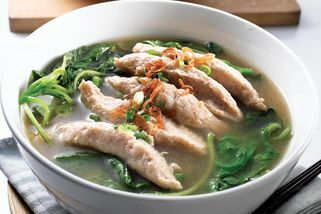 they not only selling the fish head noodle , also have different special dishes such as fish paste, fried chicken. Ordered their Fish Paste Mee Hoon, i will say Delicious! Especially the soup , with little bit "Zhao Xin" wine involved, wow! really nice! They also have a good service. 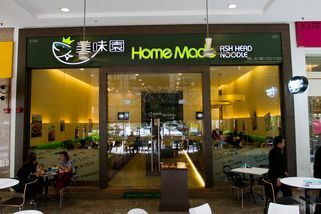 But i guess no much people noticed that have a fish head noodle shop at the mid valley, as its location is not that easy to find.